Better quality carbon fiber bow. This three-star carbon fiber bow combines the look of a fine wood bow, but with the stable characteristics of a carbon fiber stick. The fine wood veneer finish allows for a more traditional look, without the sacrifice of precious wood resources. Featuring a fully lined nickel mounting, ebony frog with Parisian eye, plus a silver and leather grip. 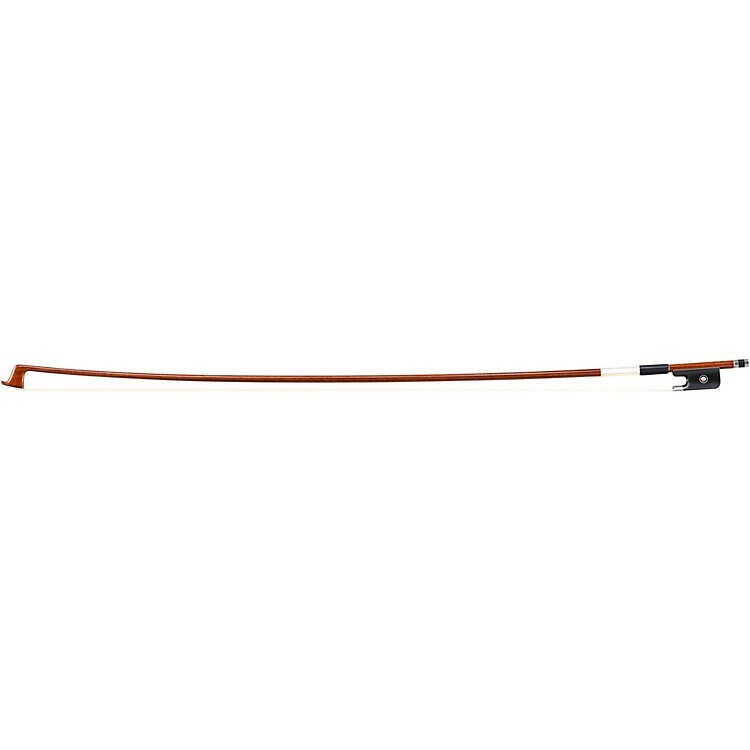 Order today and replace your student bow.